19th May 2018—rings any bell? Of course, it does! 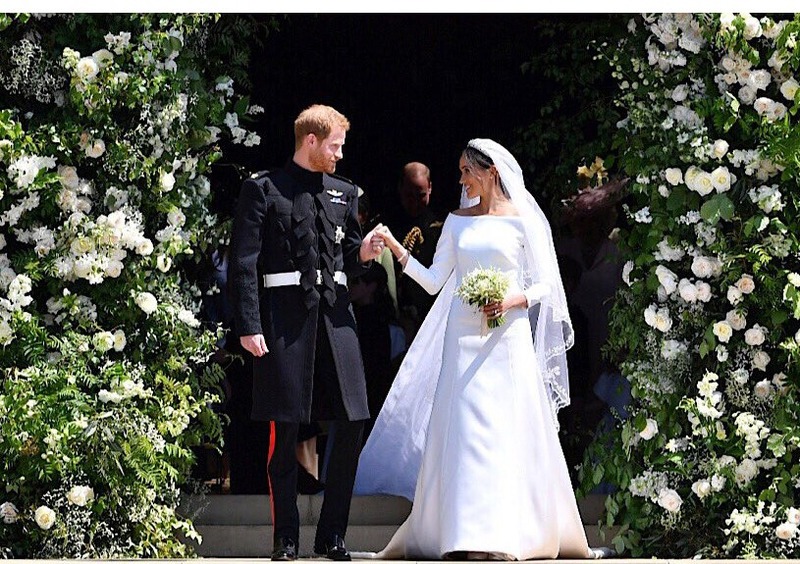 The fairytale wedding bell rang for Prince Harry and Meghan Markle. But indeed Meghan was not the clichéd damsel in distress waiting for the knight in shining armor to rescue her. Her trajectory from California to Kensington palace has been quite an interesting and inspiring one. Though she doesn’t need any introduction, there are always some facts which remain unknown and unheard and more because she has achieved the peak of popularity after her royal wedding and all her movements are being observed by her fans and followers. Born and raised in Los Angeles, California; she graduated in 2003 with a double major in theatre and international studies. A self-proclaimed ‘theatre nerd’ her interest also included politics! A versatile and talented person, isn’t she? But hold on, this is not everything about Markle! There is more to come. So let’s take a look at some of the lesser-known facts about the California girl. Started her career with guest roles in TV series and went on to make her first debut in 2011 as the protagonist in the legal drama series SUITS for which she was paid $50,000 per episode. She finds a lot of similarity with her character- ambitious, driven and always trying to take the bull by its horns. She is also the harshest critic of herself like Rachel. At the tender age of 11, she made a national TV commercial change a sexist comment by amending their language, thus becoming a women’s rights activist who is successfully continuing still now. From 2014-17 she had been the founder and editor-in-chief of the lifestyle website THE TIG. The name derived from a wine called Tignanello. As a lifestyle blogger, she earned $80,000 annually from endorsements and sponsorships. Save your surprise guys!!! There are more coming on your way. In 2017 her net worth was estimated at $5million. Yes, you read it right. She married producer Trevor Engel in 2004 but the couple divorced in 2013. She met Harry on a blind date arranged by one of her friends. Markle has done a lot of charity work as a member of One young world, World Vision Canada, United Nations Entity For Gender Equality And The Empowerment Of Women. Quite similar to her mother in law, isn’t she? She was listed as one of the most influential people in the world by the Times Magazine in 2018 and as one of the most influential women in Britain by The Vogue. She had been nicknamed as Flower by her mother as revealed by her in The Tig. Her real name is Rachel who is the same as her screen name in The Suits. Meghan is her middle name. Meghan Markle does sound great, Isn’t? She was the most Googled actress of 2016. Her father was the lighting and photography director of ‘Married…With Children’. Last year The Daily Mail reported a genealogy claiming that they are distant cousins, tracing back to fifteen generations. Let’s ignore it. A fashion devotee she designed a capsule collection with Reitmans, a Canadian fashion label. She is a great foodie, and she claims to be into innovative cuisine and fine dining much before it became trendy. Also, a pro in kitchen she has already won hearts of little Prince George and Princess Charlotte by baking little treats. She styled her jewelry in The Suits, and most of them were from her collection or family heirloom collection. She is a globetrotter, and her recent trips include biking through Vietnam, camper-vanning through New Zealand. The wanderlust will now get more opportunities to travel around the world due to her royal status. A travel hack from the newest royal member-she always carries tea tree oil for cuts, bites and it is her little cure-all. Her workout regime is balanced indoor and outdoor-running and yoga. Serena Williams is one of her closest confidantes. Her half-sister Samantha Markle will author a memoir-The Diary Of Princess Pushy’s Sister. We are looking forward to it. She loves to stick to Dior Makeup Forever and other cult classics when it comes to cosmetics. At last but not the least, she is the first one to hold the title of Duchess Of Sussex. She became a mixed-race member of the royal family who has a lot of social significance. Prince Harry gave her a giant diamond from Botswana with two smaller diamonds from the jewelry collection of Diana, Princess Of Wales. The lucky woman indeed! She was baptized and confirmed as a member of Church Of England in May 2018. Her royal duties will include a gamut of works from attending official engagements to tackling philanthropic projects. As they are enjoying their honeymoon right now, let’s wish the couple a very happy new beginning of their companionship! Previous article WWE Money in The Bank 2018 – Who will Win this Event? Next article Top 10 Reasons Why Roman Reigns is the Best Wrestler in the World? How Much is Prince Harry Net Worth?